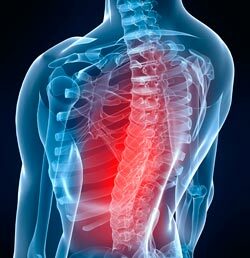 Aging inhibits healing from countless conditions, including spinal chord injury. A new study from Ohio State University helps to explain why. For the first time researchers have shown that a spinal cord injury is more severe in elderly mice than mice of other ages, and posited potential reasons that could account for the differences. Their findings substantiate what is seen in clinics across the world when treating humans with spinal cord injuries. After a spinal cord injury, an important part of recovery is related to what happens to the immune cells in the central nervous system called microglia. Within the microglia, a specific receptor helps to determine how many interleukin- 4 are located at the site of the injury. Interleukin-4 helps to stop inflammation and to recruit white blood cells and monocytes located outside the nervous system to the site of the injury for healing. However, in elderly mice, not enough signals were sent out from the injury site, so the microglia were not reprogrammed to repair the cells through the interleukin-4 mechanism. Interleukin-4 also spurs the production of an enzyme called arginase, that indicates the injury is in the process of repair. In the older mice, less arginase was found, adding another clue that the interleukin-4 alpha receptor was not working properly.Without smooth communication and a functioning interleukin- 4 mechanism, the immune system is dramatically less responsive to injury. Researchers suggested that in the future, a drug could stimulate the interleukin-4 alpha receptor to perhaps enhance communication between the nervous and immune systems for better chances of recovery among elderly patients with spinal chord injury. The more we know about the body, the more we find it to be immensely intricate. Scientists have known for at least a decade that there is an intimate relationship between the nervous system and the immune system. However, most medical doctors are missing the big picture in this area: Chiropractic treatments with spinal manipulation begin to restore the connection between the nervous system and the other parts of the body with every adjustment. Perhaps by combining forces with the chiropractic profession and allowing chiropractors to be part of the medical care team, no one would have to wait decades for a new drug to help spinal cord injury patients. Fenn, A.M., et al. IL-4 signaling drives a unique arginase+/IL-1B+ microglia phenotype and recruits macrophages to the inflammatory CNS: consequences of age-related deficits in IL-4Ra after traumatic spinal cord injury. Journal of Neuroscience 2014 Jun 25; 34 (26): 8904-17. Written by: Donna Schwontkowski on July 7, 2014. Dr. Donna Schwontkowski is a retired chiropractor with a M.S. and Bachelor's in Nutrition and a Master's in Herbology. During chiropractic school, she created accelerated learning methods for chiropractic students to learn half a semester's worth of coursework in 3 to 6 hours. Her Million Dollar Memory methods have now been adapted to teaching grade school students.